Students from the class of 2021 shared the memes, which mocked certain racial and ethnic groups, in a private Facebook group chat. 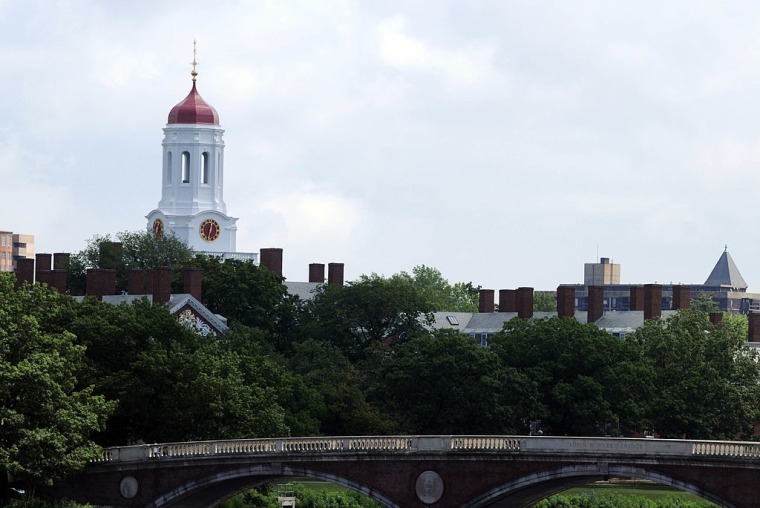 Harvard has revoked admissions offers for at least ten incoming freshman students after school officials discovered that they were posting racist and offensive memes in a private Facebook message, the Harvard Crimson and Washington Post report. A group of around 100 students, who first contacted each other through Harvard's official Class of 2021 Facebook group, formed a private message to share memes about popular culture. But a smaller group formed a new group for the purpose of posting "more R-rated” memes, a student who was part of the initial group told Harvard Crimson. The incident is the second time that incoming Harvard students have shared offensive content with each other online. A group of admitted freshman "traded jokes about race and mocked feminists" in a GroupMe chat in Spring 2016. None of the students were disciplined at the time. For their 2021 class, Harvard accepted 2,056 of the almost 40,000 total applicants. Nearly 84 percent of students granted admission to the university accepted the offer.